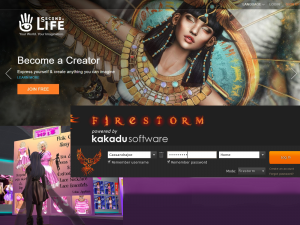 So, you want to get started in the virtual world, but have no idea what to do? You’re in the right place! Keep reading this virtual world tutorial. There are two basic routes you can take to get started in the virtual world and get to where you want to be, and I’m going to lay them both out for you. There’s a super simple path that allows you to create a free account and download our preferred software all in one easy step. 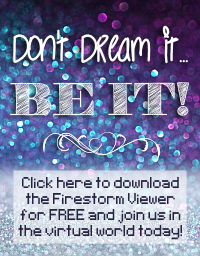 Go to the Firestorm Join S.L. page, and simply follow the prompts! Super easy, super simple. You’ll create a username, password, recovery question, and agree to follow the TOS, then you download the software for the type of computer OS you’re using. The other path involves going to the SL homepage, creating an account, and then hitting the Firestorm Download page to find your software. There is no need to ever download the default SL program! In fact, DO NOT download the basic program, it doesn’t do as much fun stuff, is prone to lag, and the graphics aren’t as good. Just use the Firestorm Viewer. Once you’ve got your software downloaded, it’s time to play. Ok, I told a small fib. It’s not play time yet; it’s tutorial time! Don’t worry, the tutorial is there to help you, and you absolutely MUST walk through the blessed thing, no matter how many times you’ve made a new account, or how eager you are to get to the good stuff. The tutorial will teach you how to walk, how to move, how to fly, how to move your camera around, and how to navigate the world online. Without the tutorial, you’d be a helpless blob walking into walls and getting stuck, and you’d never get to see all the awesomeness in the virtual world. Part of the path to get started in the virtual world involves the tutorial, so get cracking on it. You will start in a great huge room with some pretty awesome Grecian inspired columns and decorations. You’ll have a blue floating sign with you, that has tips and hints for what to do next. Obey the floating sign! You walk in the virtual world in pretty much the same way you walk in any MMORPG: use the W, A, S, and D keys! ‘W’ will move you forward, ‘A’ and ‘D’ will turn you left and right, and ‘S’ will back you up. Follow the prompts in world and walk along the path to a bridge, where you’ll see a big sign with the number 2 on it. At station 2 you get to learn how to jump in the virtual world! 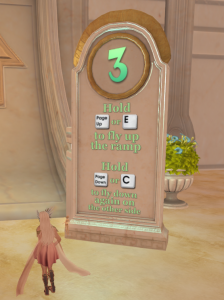 A lot of MMORPGs use the space bar to jump, but this platform is slightly different and uses ‘E’ instead. You’ll need to bounce along the platforms across a deep chasm to progress forward. Don’t worry if you fall in, there’s a ramp to get back out again. Once you learn how to jump, you get to learn to fly! When you’re trying to get from one place to another fast, flying is the way to go, but be aware that not all places will allow you to fly, and, it’s very easy to overshoot your destination and wind up where you didn’t want to be. That said, flying in the virtual world is fun! As you walk along, you’ll come to a great huge vertical ramp, with a sign next to it advising you to fly upwards using your ‘E’ key. Press and hold, and up you go! To descend on the other side, press ‘C’. Remember: E goes up, C goes down. In the virtual world, you can’t be hurt, so even falling from a great height is just another adventure (and it’s kinda fun. You can skydive!) Your avatar will land with grace and ease, and then you can simply pick up and continue walking. The next station will teach you how to use your camera controls in the virtual world. This is a vital step in your quest to get started in the virtual world. Without the ability to use your camera to get a good look at the world around you, you’ll be stuck in first person omniscient and will miss out on a lot of the details of the world. Your ability to zoom in on your Mistress’s toes, or to gaze deeply into Her eyes, or to really get a good look at the amazing detail the artists put into their work online will all be lost, just because you didn’t learn how to move your camera around. Practice in the tutorial, and the practice some more as you continue in the virtual world, because moving the camera is a vital skill. Watch as I demonstrate for you exactly how to move your camera around using ‘Alt’, ‘Alt + Ctrl’, and ‘Alt + Ctrl + Shift’. This is the last station in the very beginner tutorial zone! You made it! From the tutorial zone, you’ll walk forward and be instantly transported to the Starter Island. Avatars over a certain age aren’t allowed on Starter Island, so eventually everyone gets kicked out to go swim in the deeper waters of the rest of the online world. But you, precious newcomer, can hang out on Starter Island and explore! 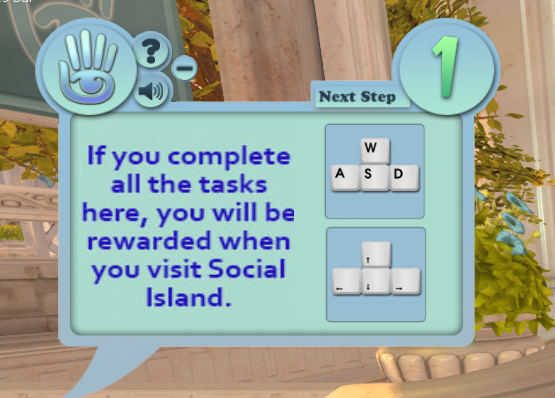 On Starter Island you can practice walking around, you can learn how to interact with animated items (there’s a tiki bar with a dance ball that you can enjoy, and get down with your bad self,) and you can earn practice Lindens (the coin of the realm), and then have a little shopping spree in a cute wee store set up for you. This lets you practice purchasing items, finding your inventory, and equipping new clothes, skins, and even new avatar shapes. Hang out on the Starter Island as long as you feel like… but eventually, you’ll discover the Portals. Once you have reached the Starter Island, you can now be teleported all over the virtual world. 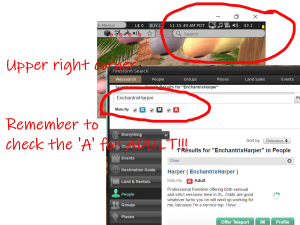 Of course, you can only come visit us at the Enchantrix Empire if you’ve enabled the ‘Adult’ setting in your software! How do you do that? Simple. 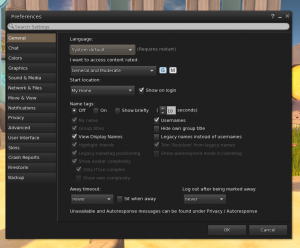 You can either press ‘Ctrl + P’ or look at the upper left corner for ‘Avatar’, then drill down in the menu to ‘Preferences’. From your Preferences menu, choose the ‘General’ tab, and then change your setting for “I want to access content rated” to include ‘General, Moderate, and Adult’. Voila. 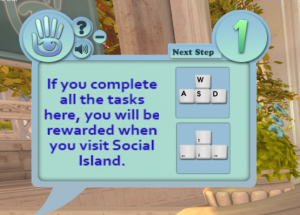 Let’s talk about using the ‘search’ function in the Virtual World. In the upper right corner you will find the search field. 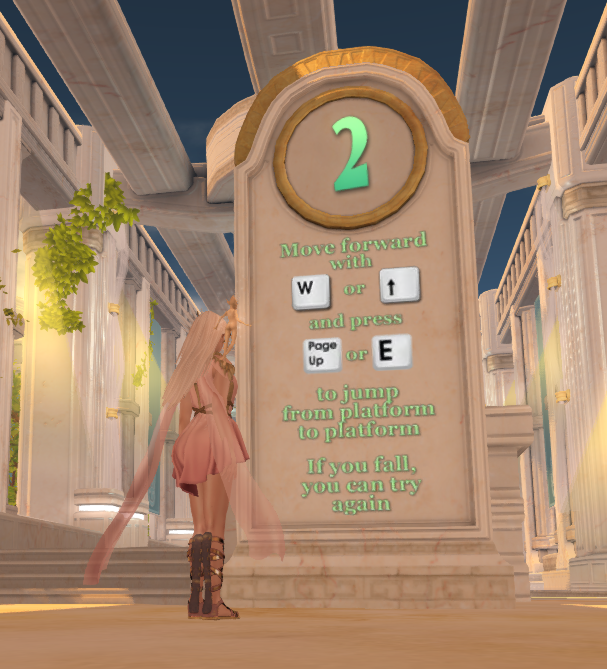 To find any of the Ladies of LDW in the virtual world, simply type in “EnchantrixX”, where X is our name! To find me, search for “EnchantrixHarper“. However, please remember to check the ticky box ‘A’ for Adult! Once you’ve found me, you can send me an Instant Message, and let me know you’d like to come visit the Enchantrix Empire for some fun and games. Once you’re past the tutorial, you can choose to explore the world by searching for things you’re interested in, wandering around from place to place, or you can come make the Empire your home and mostly hang out with us there. 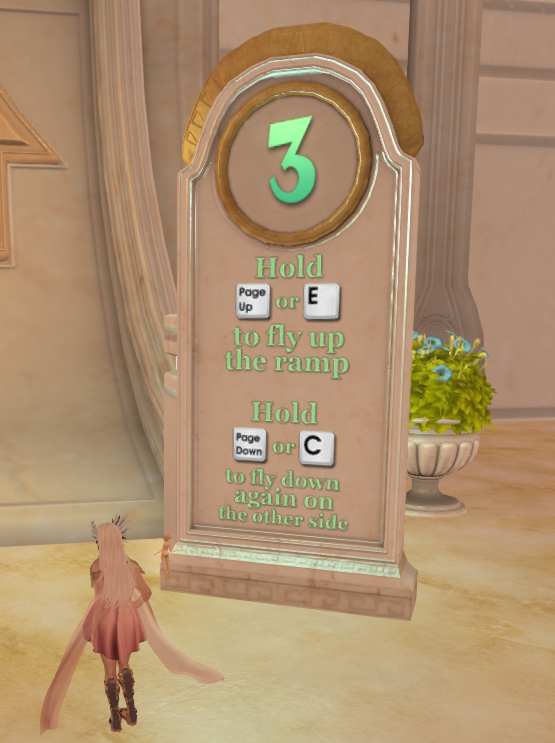 We can help you with your avatar, show you where to go to get cute clothes, turn you into a statue, use you as a foot rest, or just chill for a while. There’s no hurry for you to spend a lot of money to get a super hot avatar right off the bat, and there’s no need for you to stress yourself out in the virtual world. There is a steep learning curve to the Virtual World. When you decide to take the plunge and get started in the virtual world, let us know, because we can all help you. The Ladies at the Empire all help one another; we tell each other about sales and cute new stores we’ve found, we explore awesome places online (there’s a place where you can go riding and explore a lovely forest and beach, and another with dragons! and and and…) I hope this guide can be helpful for you, and I hope you do decide to join us online. Come and play with us! It’s tons of fun, I promise.